Hi, I am Ramy and I am originally from Italy. I moved to Paris and enjoy being part of the Dr.Dot team. I have been graduated from the faculty of physical education specialist techniques of massage and physical therapist.i had my experience during 12 years of work in only 5 and 6 stars hotels.me number 1 therapist in all Italy. 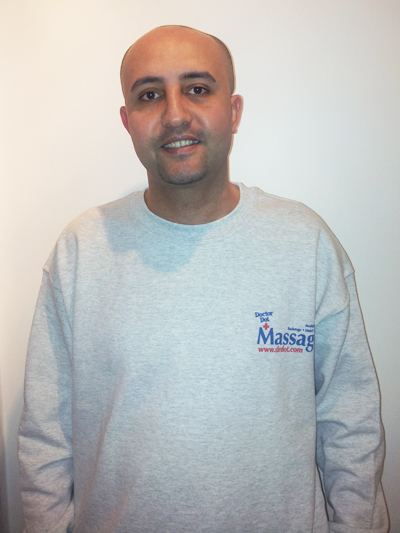 Specializing in sports massage.swedish.deep tissue.medical massage for injuries. Ayurveda massage,lynphatic drainage massage, lomi lomi massage and also personal trainer.speak 5 languages. I am looking forward to treating you as i am sure you will be back again after had your first treat with me.thanks a lot.